ICV-D80 was isolated by Dominique Delteil of the ICV in 1992 from the Cote Rotie area of the Rhone Valley. In addition to its' ability to enhance tannin structure, it's know for being able to ferment musts high in sugar and polyphenols. With proper nutrition, aeration and fermentation temperatures below 82 degrees F, ICV-D80 will ferment up to 16% alcohol. ICV-D80 brings high fore-mouth volume, big mid-palate mouthfeel and intense fine grain tannin to reds. 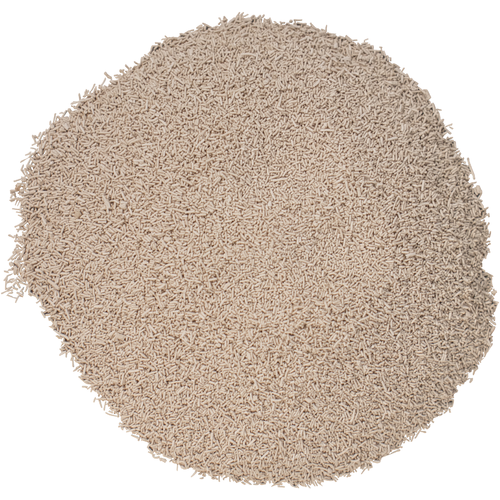 It is one of the best strains for contributing big tannin volume in a blend. 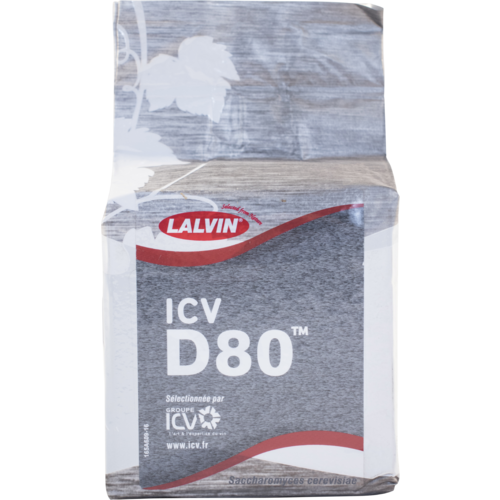 ICV-D80 is characterized by concentrated, dark fruit, smoke and a licorice finish. When blended with wines fermented with ICV-D254 or Syrah, wines fermented with ICV-D80 bring more tannin intensity to the blend. In short, this yeast is truly great for the structural support it can bring to a wine. However, if the winemaker is looking for highlighted fruit and ethereal top-notes as well, it often may not be the best choice when using a single strain in the vintage. Therefore, it may help to think of it as usually needing a companion strain to help bring everything to a finished wine. Click here for a PDF of the MoreWine Yeast and Grape Pairing Guide.Reknown for ability to enhance tannin structure. Produces flavors of dark fruit, smoke, and licorice. Perfect for reds grown in warmer climates or at lower elevations that need more backbone. High alcohol tolerance to 16%. Use 1 gram per gallon. I use this yeast to smooth out tannins in wines that can have aggressive tannins. I picked this one to blend with others after pressing. Having order Calif wine juice varieties - Syrah (90%) and Voignier (10%) - that I intend to ferment together (CÃ´te-RÃ´tie) - I thought I'd try a yeast strain cultivated from that appellation. We'll see - in a year or two - how it goes! D-80 is another yeast that I try to keep on hand as each year reaches harvest. If gives me choices and options of blending or single yeast expressions that I cannot easily come up with otherwise. Get some, have it around. You will be glad you did. This yeast creates big body and definately highlights darker berried profiles. D80 is a great yeast for Syrah that will bring out big bold tannins and highlights darker fruit such as Black Cherry, Blackberry, and Boysenberry. Be on top of your brix measurement schedule to be sure to add your nutrients on time as this yeast can ferment to dry in a few days with temps in the upper 70's fahrenheit.